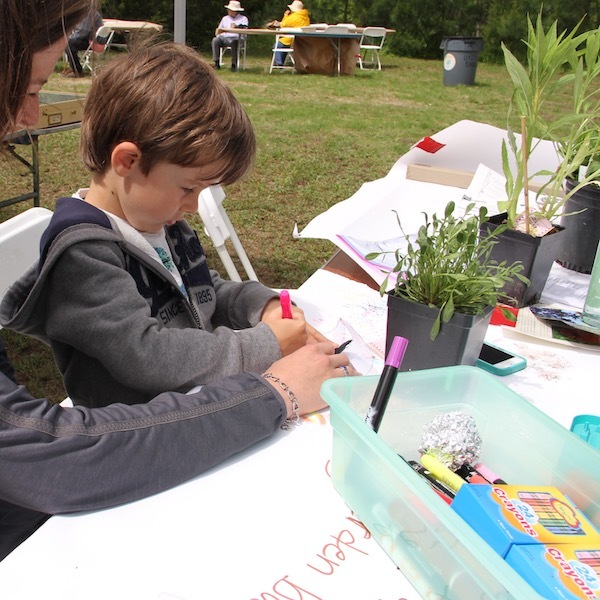 Ocean View, DE — Head to the James Farm Ecological Preserve in Ocean View for the 14th Annual Native Plant Sale on Saturday, May 5th from 9:00 a.m. to 1:00 p.m. Get ready to “plant for the birds” as you choose from a wide selection of native flowers, trees, shrubs and grasses. Then stick around for tours, demonstrations, gardening tips, food, and children’s activities. This annual rite of spring, sponsored by the Delaware Center for the Inland Bays, hosts a variety of local plant nurseries offering plants native to the area, including Envirotech Environmental Consulting, Inc., Inland Bays Garden Center, Roots Landscaping and Garden Center, and Sussex Landscaping, LLC. Native plants are adapted to the soil and elements of southern Delaware, making them easier to maintain, requiring less water and fertilizer. They also provide important food resources for ruby-throated hummingbirds, eastern bluebirds, northern cardinals, black-capped chickadees, and other bird species in Delaware! While the sale begins at 9:00 a.m. sharp, “early birds” can show up at 8:00 a.m. for a guided Bird Tour led by the Sussex Bird Club. Then at 9:30, guests can explore the trails of the James Farm Ecological Preserve with naturalist Dr. Dennis Bartow. Several short seminars will also take places throughout the event, covering topics from DIY Rain Barrels to Beekeeping! Over at the Junior Gardener’s Tent, kids and parents are invited to help native birds find materials for their nests by making their own Slinky Nest Dispenser. Then they can provide food for those nesting birds with a sunflower seed pod they assemble themselves! Attending vendors and tables include Wild About Birds, LLC, Annie’s Acre Apiary, Delaware Botanic Gardens at Pepper Creek, the Sussex Bird Club, Sussex Master Gardeners, Clean Water: Delaware’s Clear Choice and Insects with Dr. Dennis Bartow. New this year, we will have live, family-friendly music from Dawg & Dell! Once again, the Good Earth Market will have breakfast treats and coffee for sale for early birds, and will offer snacks and lunch throughout the day, including organic hotdogs and the Gardening for the Bays traditional sandwich; organic havarti cheese, sprouts, tomato and cucumber. The James Farm preserve is located at 30048 Cedar Neck Rd in Ocean View, DE. This is a rain or shine event. Most vendors are cash-only so please plan accordingly.